Siamak Dehghanpour is an Iranian-American journalist and television personality. He is the host of the “OFOGH”, a news television talk show program on the Voice of America (VOA) television’s Persian News Network (PNN). OFOGH (Horizon) covers a wide range of issues in Iranian affairs as well as geopolitics of the Middle East. Mr. Dehghanpour is also a Managing Editor of PNN. Siamak Dehghanpour was born and raised in Tehran, Iran. After finishing military service during the Iran-Iraq War, he attended the University of Arts in Tehran to obtain a B.A. and a M.A. in theater, TV, and film-making. He produced independent documentaries, some focusing on Iran’s religious minorities. In Iran, Mr. Dehghanpour, grandson of a well-known Iranian poet and journalist, owned a publishing business, and worked for numerous publications as a production manager, managing editor, and board member. He joined VOA in June 2003 to launch “News and Views”, a Persian-language news show. Since then, he has conducted many interviews with high-level officials, congressional leaders, and foreign policy experts and analysts. Mr. Dehghanpour has extensively covered 2012, 2010, 2008, 2006, and 2004 US General and Mid-term Elections for VOAPNN. 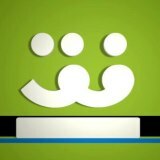 The “OFOGH” program has a massive following inside Iran as well as on the internet and is considered a flagship program of VOA PNN. On the second anniversary of the OFOGH program, Mr. Dehghanpour sat down with Reza Akhlaghi to share his views on the current state of Iranian affairs. What, in your opinion, have been the key obstacles for Iranian intellectuals in becoming a force in nurturing democratic values in the Iranian society and in helping with the institutionalization of those values? Many of the Iranian intellectuals during the last hundred years have had a tendency to be more secular and less religious because of their education. But the lower class and to some extent the middle class in society are still somewhat religious, despite the fact that the religious government after the revolution has done significant damage to the people’s faith. This trend has put them at odds with the core of society and at fight with the clerical establishment. The problem as I see it is that many Iranian intellectuals are still struggling when it comes to freedom of religion and the rights of minorities. Over the last ten years, the government has done everything possible to root out civil society. They suppressed NGOs and tried to turn the clock back to the time before the intellectuals engaged with the “reform government” to empower NGOs. An entire generation of work is needed to institutionalize democratic values. Today, it seems many in the opposition are united on a need for free and fair elections in Iran as a way to work toward democracy but as long as civil society is weak, there is no guarantee that the next government will be different. Having said that, Iranian intellectuals still can play a crucial role in educating and nurturing secular values because even in a democratic Iran we may still see the will of majority be forced upon minorities. How would you assess the role of the Iranian Diaspora in impacting Iran’s internal socio-political dynamism? So far, it’s been disappointing politically, but culturally it’s been effective. That’s why in the last couple of years you see writers, filmmakers, university professors, actors, economists, and entrepreneurs under intense pressure and intimidation not to be in contact with the Iranian Diaspora. The Iranian Diaspora has played a significant role in lobbying for Iranian activists inside Iran to receive prestigious awards and international recognition and have increased awareness about what is happening inside the country. But this has been more of a response to the internal pressure and not a coordinated action by the Diaspora to impact the internal socio-political dynamics of the country. On the political side, the Iranian Diaspora has the knowledge to help Iran but they have not translated their knowledge into a concerted action yet. There are serious trust issues. There is a debate between the opposition leaders who believe in one big umbrella or council, and others who believe that unifying the opposition is an impossible task given the sea of differences between the opposition over whether to change the regime by pressure and sanctions or to reform it through non-violent means. Regardless of who is right and who is wrong, the Iranian Intelligence Ministry conducted activities that have proven to be effective in damaging the trust between different factions in the Diaspora. Until there are fair and free elections in Iran, where we find out who has the most support in the country and how a future coalition government could look like, the partisan bickering will continue among the opposition outside the country. Unless there will be another major uprising in Iran, it’s hard to see any serious move from the Iranian Diaspora to tune in their actions with the needs of the Iranian people. To what extent, in your opinion, the Iranian clergy has the potential to embrace democratic values and democratic change? Would a democratic Iran be necessarily against the interests of the Shiite clergy? In Iran today there are so many young clerics who are either in jail or are oversees embracing democratic values at this moment. The Special Clergy Court has been an Inquisition type court system of the 21st century in Iran. But it is hard to believe that a huge number of clerics who are graduating out of the seminaries every year and are closely monitored by the government and financially dependent on it, can move away from the regime. Having said that, there are many Grand Ayatollahs who either publicly stood against the Supreme Leader’s will, or were indifferent and unsupportive of the government. There is a growing concern among clerics that Qom could lose its traditional position and influential clerics to Najaf, if they feel that they are being intimidated. It is no secret that the government has been investing a lot in Najaf and Karbala and been closely monitoring Grand Ayatollah Sistani’s house. Obviously, a future democratic Iran with no state religion could be a threat to the current influence of the Shiite clerical establishment, but this is hard to believe at this stage given the regional complexity of an aggressive Shiite Iran being surrounded by hostile Sunni states. There are also some clerics who believe that a weakened religious government actually would be a gift to the traditional clergy because it will put them back to their traditional position and bring back the respect they used to have within the society. But some say this is very unlikely because the genie is out the bottle. How do you see the dynamics of the upcoming presidential elections shaping up given Iran’s heavily factionalized power structure? Iran is diplomatically and economically challenged and needs to come out of this as fast as possible. The last seven and half years also have proved that a stubborn president could cause serious damage to the Supreme Leader’s untouchable position. Given the fact that none of the current candidates in the short lists of each faction offer great promises, and considering the Supreme Leader does not want another Ahmadinejad, it’s possible that we will see the power of the next president be shared with his vice president. A president who can save the regime’s face on foreign policy front and a strong VP who is equipped with economic skills to deal with the huge problems the country is facing. That setting could settle the fight between Ahmadinejad’s faction and the Resistance Front (Jebheye Paydari) on one side and with his opponents in Majlis, including Ali Larijani and Mohammad Bagher Qalibaf and the Supreme leader’s advisors like Ali Akbar Velayati on the other. They don’t seem to have a significant role for reformists like Mohammad Reza Aref to play. In a post-Arab Spring Middle East, do you believe Turkey is better positioned to play a leading role in the region than Iran is? How do you see the tensions between Turkey and Syria play themselves out in the region? For the time being, Turkey can play a better role but as time goes by Turkey will face internal and regional challenges that could cause the Turkish leadership to reconsider its new strategy. It’s hard to be serving NATO’s mission, having an eye on EU, supporting Hamas, uniting with Saudi Arabia and Egypt, cracking down on PKK and the Kurds, and violating basic human rights all at the same time for Erdogan’s government. Turkey’s policy is trade-driven and cannot tolerate chaos on its borders. Iran and Syria know that but whether NATO and EU, with their own economic troubles, can help Turkey remains to be seen. Can Turkey pursue other energy sources besides Iran? It’s hard to see that for the time being even with the help of Russians who have a huge stake in Syria. What’s your take on the current economic sanctions against Iran? Have they been an effective tool in making the Iranian leadership re-calculate its foreign policy and security policies? I guess for sanctions in general to be effective they need to be in place for a long time, which some say is meant to weaken the regime and not the people. History does not prove that sanctions result in regime change and dictatorships have shown that they will pay any price to circumvent sanctions and earn enough money to pursue their policies. But it’s notable that there is a serious debate between Ahmadinejad and Ali Larijani on the impact of sanctions and many believe that mismanagement has done more damage than sanctions. It’s also interesting that the nuclear negotiators are pushing for a removal of sanctions as a precondition for cooperation. If the sanctions are still “a piece of paper”, as some in Iran have suggested, then why so much emphasis on removing them? It’s no secret that sanctions have slowed down Iran’s nuclear activities, especially at the enrichment facilities. Is the world market ready to tighten up more on Iran’s oil and natural gas export? That’s the key question. So far the pressure has been to a point of harming the economy but not collapsing it. Some believe that the leadership in Iran wants to come out of this huge pressure with a face saving deal. Are they going to get what they want? We may find out in the next year or so. Do you believe there are rivalries among factions in Iran to become the torch-bearer of re-establishing ties with the United States? With presidential elections on the horizon, how are those rivalries taking shape? Obviously, no one more than Ahmadinejad has shown the readiness to open-up a venue for talks with the U.S. Today, many influential power players are talking about the need for US-Iran relations publicly. It’s hard to believe that the Supreme Leader wants this under these circumstances but the pressure on him is mounting as the pressure on his predecessor Ayatollah Khomeini forced him to drink the “poisoned chalice”. Some in Iran argue that Tehran should take advantage of the apparent tension between President Barack Obama and the Israeli Prime Minister Benjamin Netanyahu and move towards Washington. With Senator John Kerry, who will take up the job of No.1 US diplomat held by Secretary of State Hillary Clinton in 2013, there will be interesting developments to watch. Many still remember Senator Kerry’s participating in a 2007 Davos panel with then President Mohammad Khatami. Despite the fact that the Senator has not authored any major sanctions legislation against Iran during his chairmanship in the Foreign Relations Committee, he did vote in favor of all the sanctions bills. Will Tehran take advantage of this opportunity or wait for Senator Kerry’s move is unclear, but Washington has been steadily pursuing a two-track policy of pressure and diplomacy. What the Supreme Leader and the Islamic Revolutionary Guards Corps (IRGC) are going to do between the upcoming Israeli elections and Iran’s presidential elections will have a great impact on how Iran will be dealt with.